5,600 Americans in Puerto Rico who depend on Dialysis are facing a life-threatening situation in the aftermath of Hurricane Maria. Learn more. The spice, Turmeric, appears to be offering a new hope for Dialysis patients who experience intense itching (uremic pruritus). Uremic Pruritus affects many Dialysis patients especially those on Hemodialysis. Learn more. Most Chronic Kidney Disease and Dialysis patients have experienced Uremic Pruritus, even if they have never heard the name. 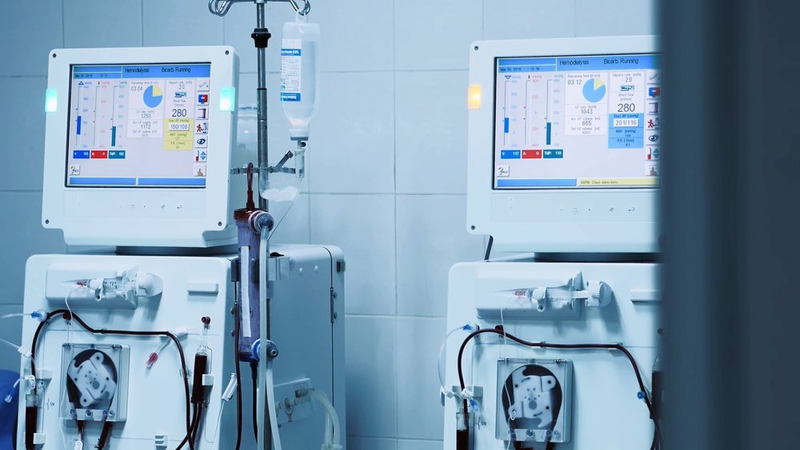 Commonly referred to as Chronic Itching, upwards of 50% of all Dialysis patients are known to experience this unbearable, seemingly un-scratchable, itching sensation. It is literally, "That itch which Chronic Kidney Disease and Dialysis patients cannot scratch" and often causes long-term pain and suffering. Learn more. Angela Taggart, of Rahway, N.J., has been on dialysis since she was 19. She was diagnosed with a kidney infection and since then has spent three and half hours a day, three times a week, sitting in a chair getting dialysis. Learn more. Many Chronic Kidney Disease patients are experiencing harmful Dialysis-related events. Learn more. A 55 year old Dialysis patient, Mary Elizabeth Goetz, died at a U.S. Renal Care Dialysis Center. Learn more. Experiencing bouts of Vitamin D deficiency (low levels of Vitamin D) can cause patients to have difficulty thinking clearly, bone pain, frequent bone fractures, muscle weakness, soft bones that may result in deformities, and unexplained fatigue. Learn more. S.B. (Senate Bill) 349 is a California proposed legislation that has been developed to create minimum staffing requirements for Dialysis Clinics as well as establish a minimum transition time between patients so that Patient Care Technicians do not have to rush from one patient finishing treatment, to another preparing to begin - avoiding mistakes and lapses in infection control strategies such as wiping down chairs and equipment. Learn more. Dialysis Patient Safety Act S.B. (Senate Bill) 349 has cleared a major hurdle after being approved by the California State Senate on a 24-15 vote. Learn more. Safe Summer Fun For CKD And Dialysis Patients: Parties, Alcohol, Sunscreen, And More. "Hello, KidneyBuzz. I have a few questions regarding parties that I need some help with:" Learn more. Summer often brings sunny skies, warm weather, and good times for many Chronic Kidney Disease and Dialysis patients. Learn more. KidneyBuzz.com has been bombarded with comments, shares, emails, and retweets from Chronic Kidney Disease and Dialysis patients to respond to John Oliver's comments about Dialysis on his HBO Show: Last Week Tonight. Learn more. A KidneyBuzz.com patient wrote: "It's almost been a year since KindyBuzz.com last published an article on Kidney Rejuvenation. Have not heard anything since. What's going on? "Learn more. Most Chronic Kidney Disease patients conducting Dialysis Treatments know that having too much water in their body is called fluid overload (Hypervolemia). Learn more.